I started bullet journalling a little over two years ago. My first bujo was a lined notebook, which I used to play with what worked for me. I found it therapeutic to sit down in the evenings and make it colourful but that then became difficult to maintain. I took a short break and came back with a Say Nice Things journal, using it primarily for blogging. Then I discovered Dingbats’ new Earth Journals and everything became so much easier. However, despite the ease of the dot grid, page numbers and built in tabs and index, my updates were sporadic and I wasn’t using it particularly effectively. A couple of months ago I heard Megan C. Hayes talking on Hashtag Authentic about positive journalling and was beyond inspired. I’d been thinking about recommitting to my bujo in the new year, with a particular focus on gratitude and self-care, and I liked the idea of using it as a positive space. 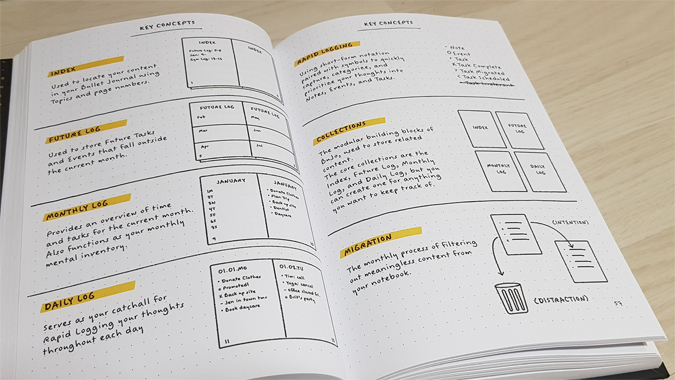 I’d also recently been using the Focused Fox Goal Notebook and found the regular reflection really beneficial – something else I wanted to incorporate. But where should I start? I’m a member of some pretty fantastic bujo Facebook groups and the members gave me some great advice. 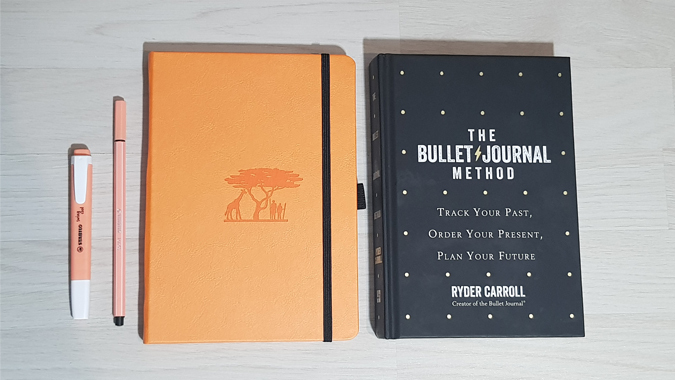 They reminded me of the origins of Ryder Carroll’s Bullet Journal system and I decided to order a copy of The Bullet Journal Method. I wanted to learn more about the process and benefits, and how I can make my bujo work for me in 2019 – and keep at it. The book was so helpful and has completely changed my approach to how I journal. I thought I’d share some of the thoughts I had whilst reading the book (yes, I noted them in my bujo!) and I hope it inspires you to pick up your own copy. As someone who works in marketing by day and blogs by night, having something which allows me to take some time and reflect at the end of the day is so important. It’s easy to get overwhelmed by digital distractions and I love having an offline space to reflect and prioritise. Ryder writes about living ‘an intentional life – a life both productive and purposeful’ and it reminded me a bit of Sarah Knight’s books. 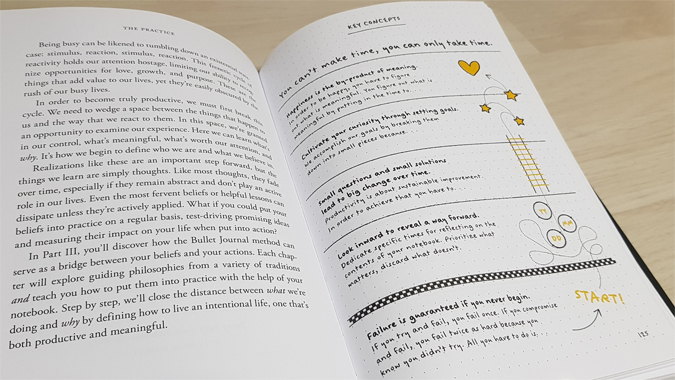 They actually complement each other really well and I can carry a lot of the tips and tricks I’ve picked up from her books into the practice of journalling: ‘The Bullet Journal Method’s mission is to help us become mindful about how we spend our two most valuable resources in life: our time and our energy’. Externalizing your thoughts help to declutter your mind, something which really helps me switch off at the end of the day. Every night I pick up my bujo, tick off the tasks I achieved during the day, migrate the ones I didn’t have time for and reflect a little on what happened in the last 24 hours. While I focus on the good, there are usually a few grumbles too, and I feel better for writing these down. I also have a daily gratitude tracker so that I can easily see an overview of the things that made me smile in one place. One of the ‘mistakes’ I made before was trying to set up everything at once. Ryder suggests that you set up your future log and monthly spread first, then set up your dailies the night before/morning of. This allows you to have as much space as you need, particularly helpful for people who like to keep everything together. That was another problem I had before – I hated having everything scattered in one notebook. Turns out that’s actually ok; with page numbers and an index, you can easily flip between spreads. Want to start a new habit tracker halfway through a week? Totally fine! 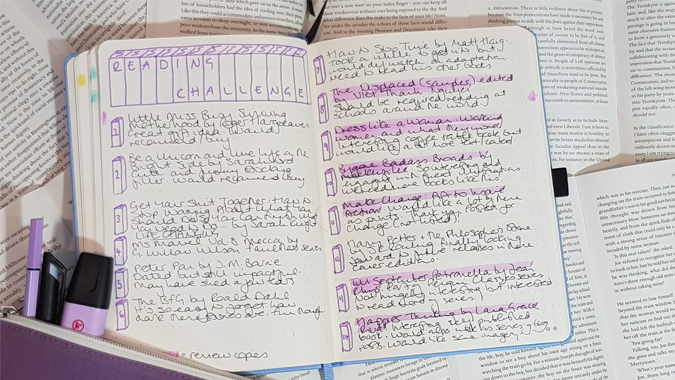 You can even start a collection on one spread and continue it a few pages later – it’s called threading and it’s completely changed the way I bujo. The main thing I’ve taken away from reading The Bullet Journal Method is that everything should have a purpose and add value. I’ve learned to streamline my process and to accept mistakes. The way I bujo has evolved to focus on minimalism and productivity, with more of an emphasis on goals and reflection. It’s not about how it looks but how it makes you feel – and how effective it is. Ryder recommends starting a new year with a new journal, something I was more than happy to do! 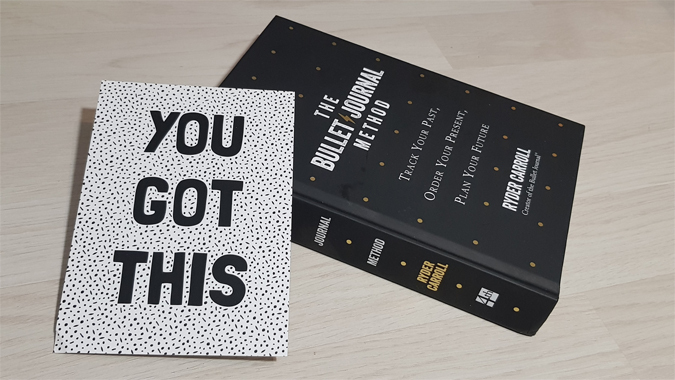 I’ve tried a lot of dot grid notebooks over the last couple of years (check out my post on how to find the perfect bullet journal for you) and the Dingbats Earth Journal is my favourite. I’ve got many a barely used dot grid notebook in my stash (just a pen test at the back while I await a fun project which requires its use) but when I sat down to set up a new year I couldn’t commit to one. I knew I had to have a new Dingbats! I know I’m going to learn a lot from my January set up. I’m already pondering adding a weekly spread for blog to dos, which I may trial in February, and the possibility of including my day job. At the moment I’m using it for my blog, goals and daily reflection, but that could change. I shared some spread set-ups on my Stories the other day and I’ll probably write a separate blog post soon. 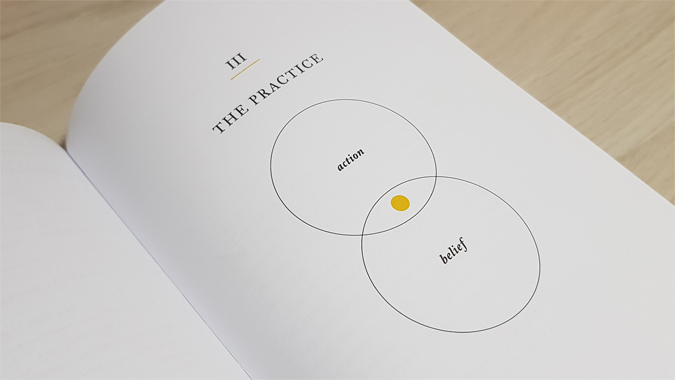 I’m also reading Rachel Wilkerson Miller’s How to Bullet Plan for inspiration for future minimal spreads, so I’ll be sharing a review of that soon. I’m also bad with keeping with a planner. But eveytime the new year rolls around I try again. Right now I’m just doing lists. Will we get to see your bujo? I’ve always been a bit nervous about starting a bujo, although I love seeing everyone’s spreads. But I started a little reading journal this year, which is nice! Fun! I love combining my love of books and journaling. 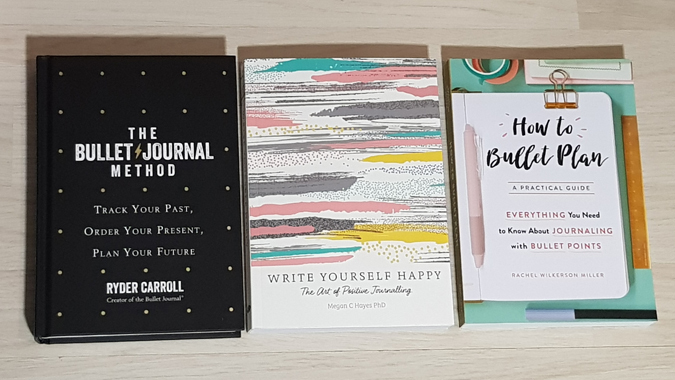 I’ve always wanted to bullet journal but I’ve always felt I wasn’t creative enough to do it – and I have commitment issues with this kind of thing 😂 but this sounds like a good read and might be the inspiration I need to get started with one, great post! I’ve been bullet journaling for the last few years, but am thinking I should get a copy of this book! I’d assumed he’d be too minimalist for me. And I’m also thinking I should plan blog posts in mine. Might spur me on to post again! I’ve so far completely failed to get going for now than a couple days at a time but I’d so like to read this. Think I’ll see if the library has it.